This place is so artsy! They painted the walls with vibrant colors. I explored different shops which seem interesting. First was a shop sells pop art canvas prints which fascinated me. They have images of famous people with their popular quotes. Another was a shop which sells several decorative stuffs. Later on, I saw this #Selfie Coffee. I became curious so I tried it. I told the cashier lady I wanted hazelnut frappe. Then she handed me an iPod with an app that was open where I could take my own selfie. Even though I was shy, I still took one! Then I’ve waited upstairs. A few minutes later it was already available. I thought they will print my selfie on a plastic covering the frappe. They instead printed it on the whipped cream! So amazing! It was like I was eating my face. 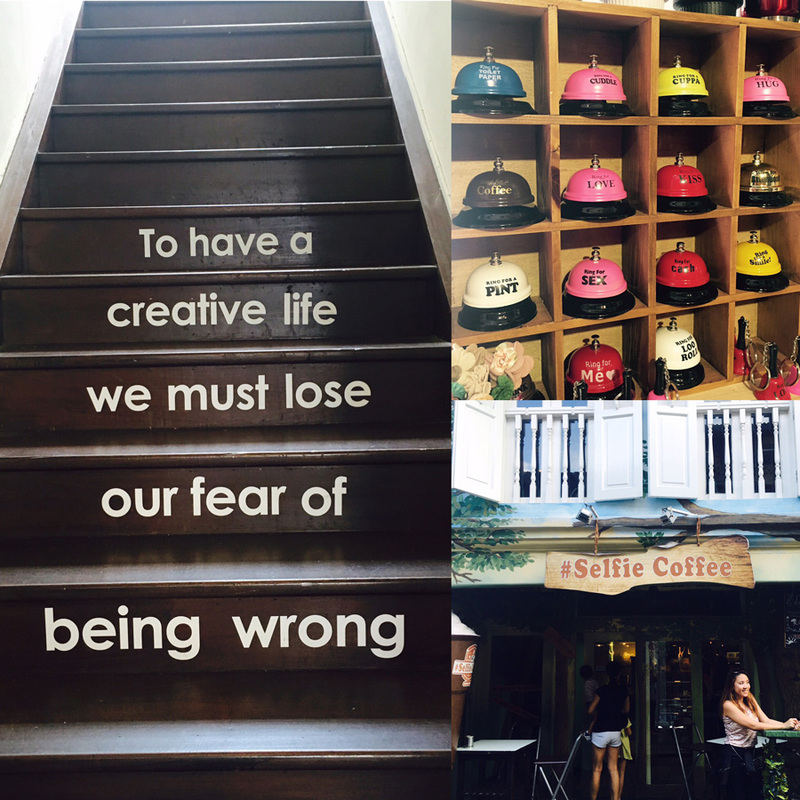 To have a creative life we must lose our fear of being wrong. My friend Ariane gave me a Casio watch as a birthday gift. I knew why. It was her way of saying that I should come on time whenever we meet! I admit I was always late. I couldn’t blame the traffic as there was none. 🙂 I thanked her for it. I haven’t worn a watch for a long time. Get used to just look time on my phone. But now I’ll try to wear it most of the time to remind me of its purpose. We ate at Bergs Gourmet Burgers. We ordered calamari, chicken wings, onion rings and burger. The food was just fine. We took a lot of photos in different angles before we could eat them 🙂 When we’re about to pay, we just found out that some of the waiters were also Pinoy! Should have known earlier so that we easily communicated with them when they took our orders! Later on, we strolled around other interconnected shops. We took some more pictures, specially to the shops that are profile picture or instagram worthy. After that, we headed to Bugis. 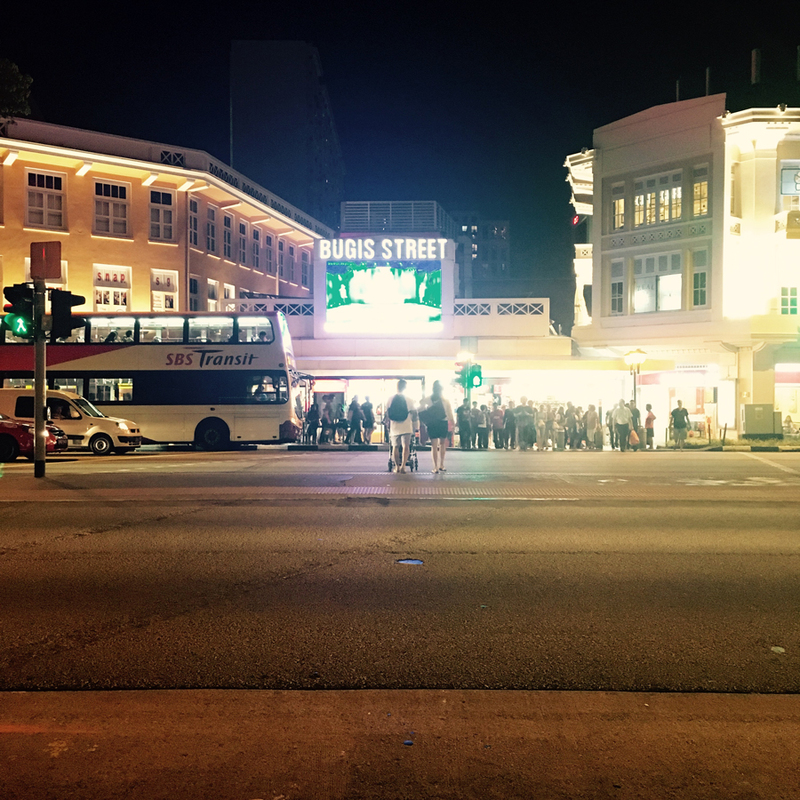 There were plenty of stuffs you can buy at Bugis, a place where you can shop ’til you drop. Several stalls offer variety of shirts, pants, bags, shoes, accessories, toys, souvenir items, foods, and more. Most were sold at a reasonable price. You can also sometimes haggle for a price until both you and the seller agreed. I bought a three-meter long Apple cord knock-off at 8 SGD to allow myself to move around the house while I both use and charge my iPhone. I would love to buy other stuffs here sometime. My time in SG was almost up so I travelled a little bit more. This time was in Clarke Quay. I haven’t really searched on the internet what it looks like, I’ve just read some articles that it was a river. So I went there having the thought that it was kind of a park with a serene river where I could think deeply of what was about to happen to me in the coming days. I was wrong. It was a place of several restaurants and night clubs. I seated beside the river, like I saw other people do. But not a minute has passed when I stood up again. It was hot and my sweat could flow with the river. I just walked around and took pictures. It was still early so there where less people. I imagine this place was so much alive at night. I went home before I could see it. The time came for me to go back to the Philippines. It was 12AM when I arrived at the airport. Two hours earlier than my flight. I needed to travel early as the trains will have their last trip. 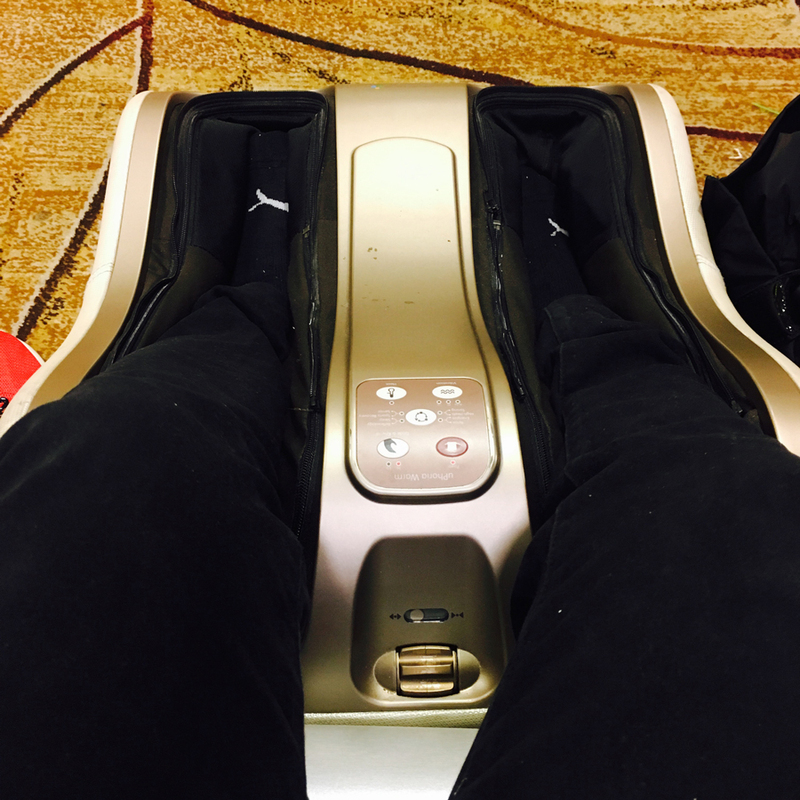 Then, while walking, I saw other people in this machine. When I had my chance I tried it. It was relaxing. I was sad to leave. But I have to move on and trust that I can go back again. So much memories. So much experiences. I am grateful to all of the people who helped me. Good bye Singapore! This entry was posted in Food Corner, People & Events, Space Travel and tagged adventure, bonding, celebration, food, friend, singapore, travel, world. Bookmark the permalink.